Sega's last stab at console dominance is now ten years old. The Dreamcast was launched on November 27, 1998 in Japan, back when global hardware launches were almost unheard of. It wasn't exactly a success. The Japanese version of the Sega Dreamcast launched with a rather paltry four forgettable games: Godzilla Generations, Virtua Fighter 3tb, PenPen TRiIceLon and July. Sonic Adventure, originally planned to hit at launch, was delayed. Other titles that came shortly after, like Incoming and Seventh Cross, didn't help matters.Given the line-up, the Japanese launch was somewhat of a dud, far from the early success of its North American counterpart which hit almost a year later on September 9, 1999. When Sony announced the PlayStation 2, less than six months after the Japanese Dreamcast launch, it ended the console war — at least in terms of perception — before it had a chance to begin. The Dreamcast still managed to deliver some of the best software of the generation, with titles like Power Stone, Soul Calibur, Jet Grind Radio, Phantasy Star Online, Typing of the Dead and Samba de Amigo still fondly remembered. My first hands on time with the Dreamcast came when I rented an imported console, along with Blue Stinger and The House of the Dead 2, for a Sega filled weekend. Fortunately, those two titles didn't dissuade me from picking up a North American console at the midnight launch. 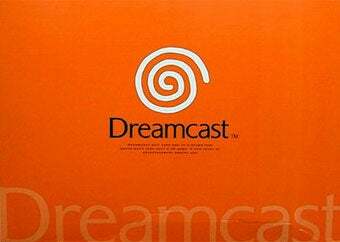 Please feel free to share your fondest Dreamcast memories and pour out a bit of your virtual forty for this enduring casualty of the console war.